Influx Measurements Ltd are experts in the design and manufacture of flowmeters and can offer a wide range of both standard and bespoke, well engineered products able to meet the specific needs of our customers. 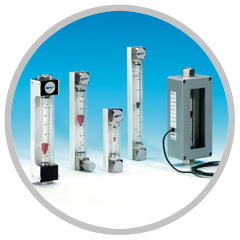 Low flowrate Variable Area meters for monitoring, controlling and visualisation in sampling, blending, dosing, aeration, cooling and laboratory and control panel use. Flowmeters suitable for higher flowrate measurement and control in process flows, water treatment offshore and gas furnace applications.